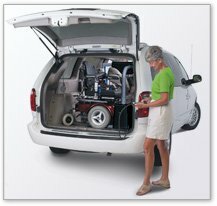 The Auto Lift AL-410 is the heavy duty solution for many with mid-sized to large electric wheelchairs and scooters. The AL 410 has a 400 lb. 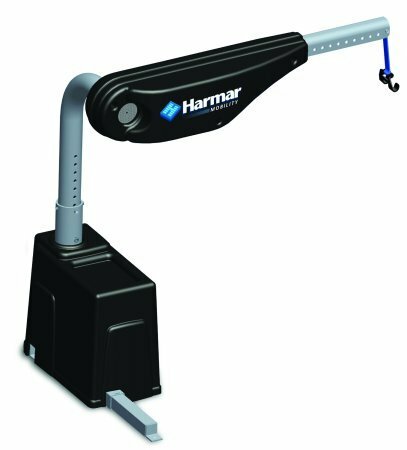 lifting capacity and is weather resistant so that it can be mounted in an open truck bed, or inside the back of most van's and SUV's. This lift comes standard with offset post and the docking device you need to lift your power chair or scooter with the seat attached at no additional charge. Operation is easy. 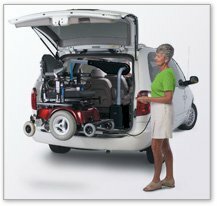 The lift mounts into the rear of a van, SUV or truck bed and is wired directly to the vehicle battery. The strap hooks onto the docking device on your mobility equipment, then push a button and the mobility equipment is lifted into the air, then simply swing the unit into the back of your vehicle and push the button to lower the mobility equipment to the floor of your vehicle. 400 Lb. weight lifting capacity for mid-sized to larger heavy weight electric scooters and wheelchairs. Height adjustable boom from 30" to 40"
Adjustable boom length from 23.5" to 33.5"
The powder coated finish adds durability to resist the elements. Adjustable boom pitch from 0 to 30 degrees. Hand held control for ease of operation. Adjustable Rotation limit and manual crank backup. Connect the hook at the end of the lifting strap to the docking device on the wheelchair/scooter. Docking device is included with purchase of lift. 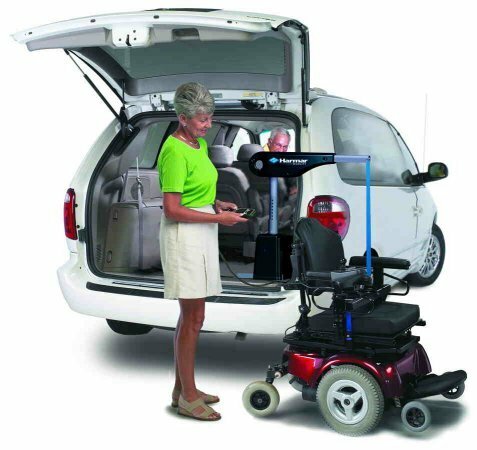 Push button on hand held control and wheelchair lifts electrically into the air. Simply swing the unit into the rear of the vehicle. 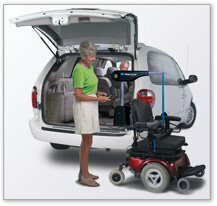 Push a button on the hand held control and the wheelchair/scooter lowers to the floor of your vehicle.